After the Google panda updates which rocked the whole websites, now it’s time to recover and regain the lost crown. With recent ongoing improvement on search engine, Google is now more sticker and aggressive to low quality and spam sites. Why every one want to know How to protect from Google Panda update to be safe from going off from google. But the question which strikes on everyone mind is how to exactly escape the Panda effects? Every blogger share its strategy, experience in which some of the ideas were really helpful. After the Google Panda, now the SEO steps on-page and off-page should be done with very careful. Some basic SEO Tips which all webmasters (Me too) have consistently told is to avoid duplicate content, avoiding link farm, effective using of anchor text and lots more but after Google Panda updates SEO tactics needs lots more than that. New year 2016 and 2017 is more to be careful from these random updates. Then, what are the effective Google Panda SEO Tips to improve the blog performance? You might be hoping that there will be no more shocked Panda changes, and you have finally survived the panda effects! It’s not the actual case. According to the source from wired.com, it has been confirmed that Google will introduce around 550 changes in its algorithm this year. Though I ‘am neither a problogger nor a SEO expert (But really aims for!) but at least got an some experience and tactics which might helps you out. 1. Relevancy now matters a most. With the latest algorithm updates, Google now pays more importance on the relevance of the whole theme contents. In a site, relevancy words usually mean similarities within the pages, post with related keywords. That’s the reason why niche sites have good SERP and site authority. It is probably not a good idea to write one post on entertainment and another on technology. 2. Do more guest post and totally forget about articles directories, for effective link. 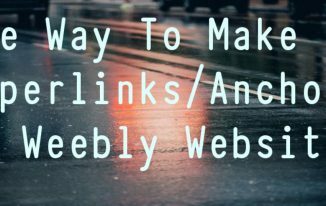 Back in old days, most effective link building strategies used by webmaster were submitting articles to article directories (Like EzineArticles). But since algorithm changed and 2016 Google is much more advanced than compares to 2000 Google, and so the strategy needs to be get changes too. Due to low quality content in most of article directories, those sites were the first to gets effects during the recent panda updates. So, if you are looking for building backlinks then articles directories are no more that effective likes before. Rather I would recommend for guest posting to some higher page rank Blogs. 3. Be active on Social Networking, Panda loves to be social. Google is giving much important on real time updated information and social media presents. Only Google’s know the exact impact of Twitter, Facebook, and LinkedIn on sites in its search results but it was confirmed by Google team that now their search results is providing real time sharing. 4. Got some videos, Google loves them. Sites like YouTube and Metacafe were the real winner on this recent Panda update. But what would have been the reason behind? Videos! Search engines mostly Google is giving much weight to videos, so if you got some or planning for, you better be fast. 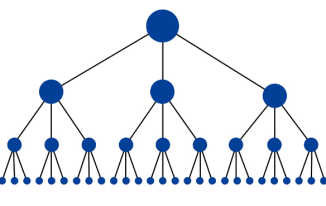 It might help your site pagerank and can increase the SERP. 5. They Avoid Excessive Advertisements. Though the excessive advertisements in a site is not a ideal practice and Google have been telling this lots of time, but on recent updates Google is now much strict about this. These advertisement have fake bots, scripts and sometime very slow loading file embedded in them that reduce your site ranking. 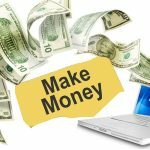 Excessive advertisement creates problems both for user and search bots. It actually doesn’t makes sense to have so much of ads neither its user friendly. Too many ads can make your site Meaningless in the eyes of search bot. So, I will recommend write quality content (if possible , include images, videos, graph on content) and use limited ads. As a webmaster you should take your site as your own baby who actually needs your care and attention. The above points might sounds too common issue but I remind you there is no more any scope for little issue, Google is no more considering even a slight mistakes. You can see How many time Google Panda update affected your site. If you have got some better ideas on Google panda SEO Tips which might help us, share us through comment and let us we all learn. If you have find som new Save from Google Panda update SEO Tips then you can surely be protected from this site ruining updates. Find more seo tips on worpdress blog tips that will surely rank higher your site ranking.